Oh, it has been a spring to remember! Wonderfully mild temperatures with a stellar winter melding into this current season when we celebrate all things bright and new. 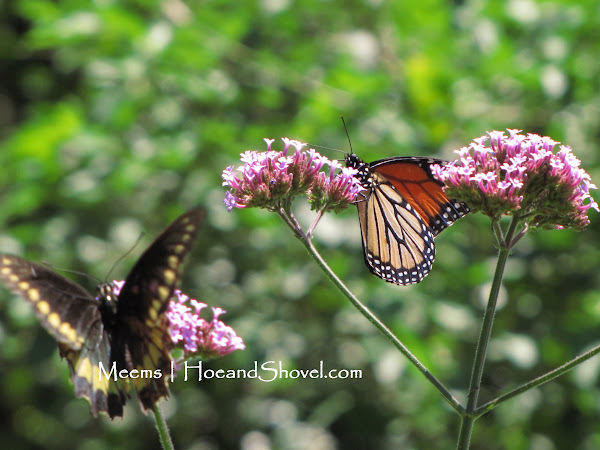 So it is no surprise that the butterflies stayed with us magically right through winter. We saw caterpillars feeding and chrysalises hanging on in January. The current population of them is more like what we typically see in summertime. We are quite happy about the presence of these graceful critters at any time in the garden. 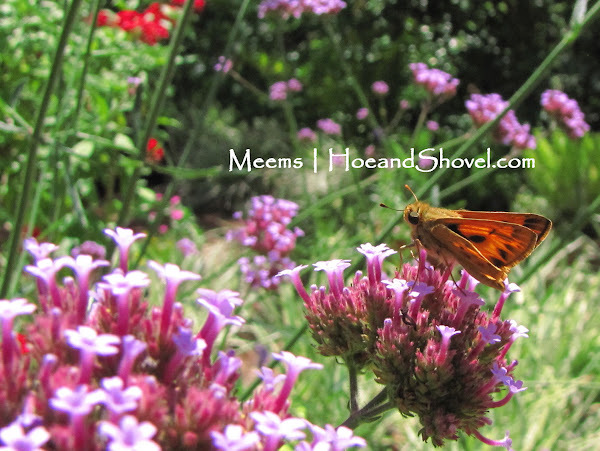 As you can see from these particular photos Verbena bonariensis is a popular favorite among them. Dragonflies play an important role in this subtropical environment. They are agile predators of numerous insects. They are equipped with powerful speed to hunt down flies, mosquitoes, and gnats out of the air. They feed on ants and termites as well. I do adore watching them in flight. In the bright sunlight the buzzing and flitting about of beneficial insects is evident around the flowering plants especially. Syrphid flies, green sweat bees, bumble bees, honey bees, and many tiny flies that I do not know the names of sing their buzzing song as they diligently pollinate the flowers and edibles. Splendidly colored wings and bodies to cherish in any garden. The underside of the bright orange Gulf Fritillary (below)is a masterful work of art. Each one of these helpful beauties is a great reason to avoid the use of pesticides and insectides. Nature, when left to balance on its own, has a wonderful way of overriding the small amount of bad with the abundance of good. The average lifespan of a butterfly (varies with each species) is only about 1 month. Isn't it amazing that the numbers of them in the garden doesn't seem to fluctuate! Which butterflies are you seeing now in your garden? Don't forget to check us out on Facebook. Click here and then click the LIKE button to tell us what you think. 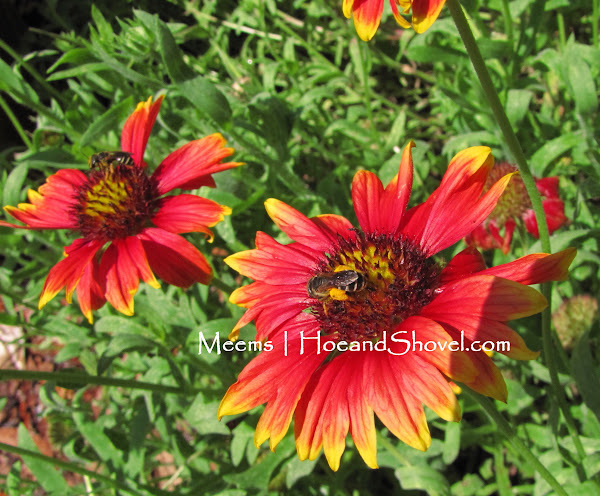 Click here for my latest Lowe's Creative Ideas Gardening Blog post. It is titled 5 Tips to Make Your Garden More Sustainable. Amazing shots of those critters, Meems. 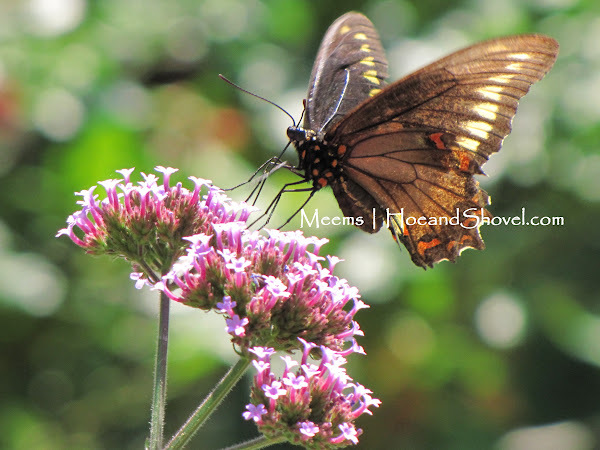 I have not yet mastered shooting butterlies, they are always too fast for me. We have plenty of monarchs, but I need to work on researching other host plants for different types of butterflies and cats. Hope you get some rain this weekend! Great butterfly photos! 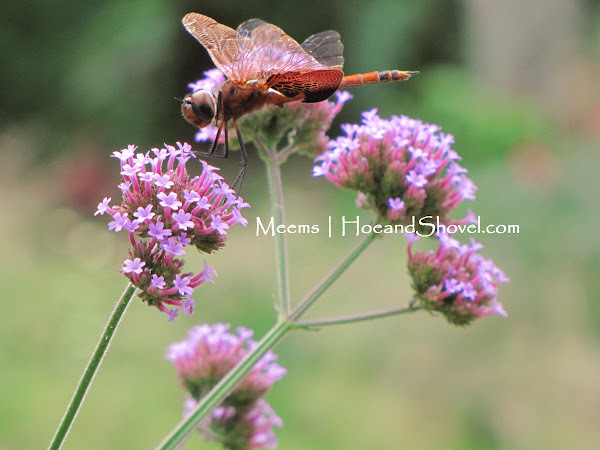 They're really workin' that verbena aren't they? I've been enjoying more zebra longwings in my garden. There were but a few late summer last year. It's nice to see them back. 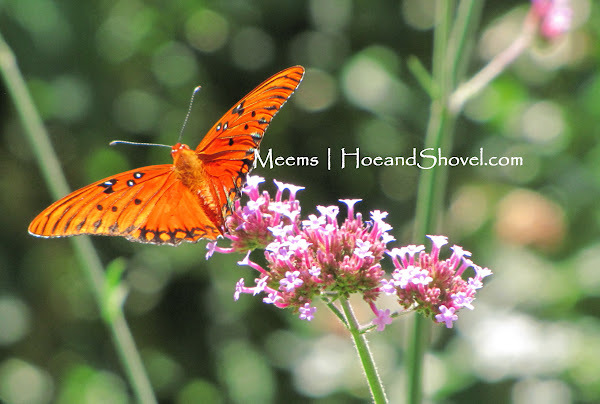 Because of winter and spring rains, we have a lot more butterflies this year, here in Central Texas. It's great! You got some wonderful shots there. Dear Meems ~ What a wonderful post filled with beautiful flying critters. I've been noticing LOTS of Gulf Fritillaries and Zebra Longwings, some Black Eastern Swallowtails, skippers, little blue cassias, Cloudless sulphurs, maybe a peacock or two. 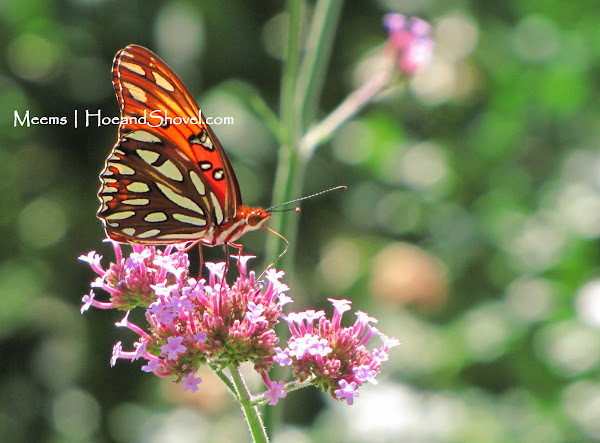 The gulfs and the longwings love the hamelia paten and the passionvine. They are all such a joy to this gardener's heart. Have a great weekend and thanks for sharing these fantastic shots of the visitors to your lovely gardens. 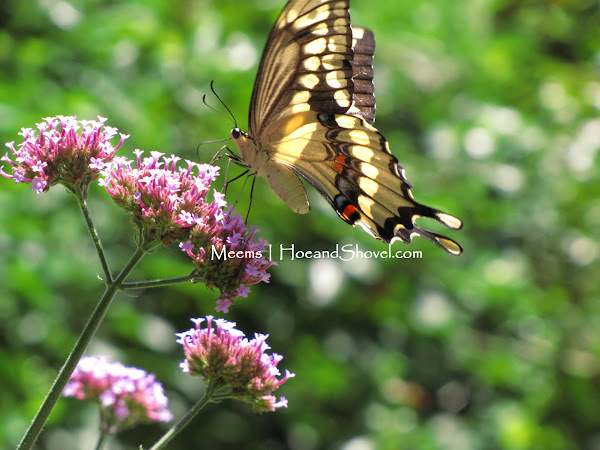 Love all the pics of colorful butterflies in your garden. They are a most welcome addition to the garden. Hey Meems, I'm in your area right now, and I have noticed soooo many lovely butterflies! I thought it was just normal! Beautiful captures, Meems. 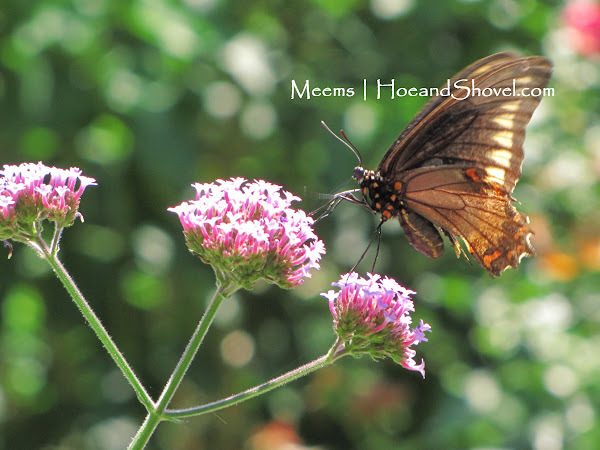 You are lucky to have so many butterflies in your garden. I'm envious and wish I had more.